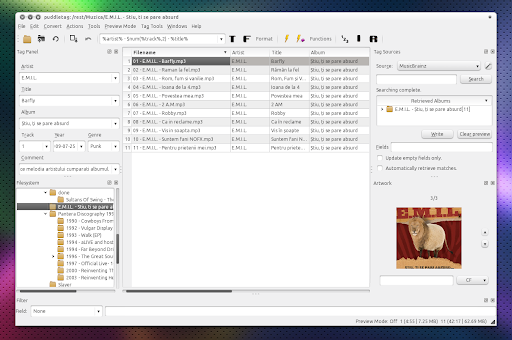 PuddleTag is an awesome mp3tag-like audio tag editor for Linux. The latest version - 0.10.0 - has been uploaded to the Puddletag WebUpd8 PPA. Both Parcellite and Puddletag are also available in the main WebUpd8 PPA - you can use this PPA to install all the applications we maintain by using a single PPA.